Probably you’ve just ventured into the online Bitcoin gambling game, or maybe you do have some experience, just not with Fortunejack? Well either way, your problems, doubts and queries are about to be solved right away in this Fortunejack review. There are certain factors that I take into consideration before deciding how good or bad a casino is, it’s those factors I’ll share with you here to give you a logical, practical idea of why Fortunejack is the talk of the town. Fortunejack already has acquired massive popularity, features and mentions on some of the most trustworthy platforms such as Bitcoin Talk, Ask gamblers and many others, so I wouldn’t re-invent the wheel trying to prove it’s “good”. Rather, I’ll just try to make it transparent in this Fortunejack review; why the casino is trusted, and how well-suited its popularity or trust is, including my own personal opinion and experience wherever it fits. Currencies: Ethereum, Doge, Litecoin, DogeCash, Dash, ZCash, Monero And Bitcoin Cash. It’s a term you should be familiar with before you start gambling with Bitcoin. What the phrase means is, just like any offline, real-world casino, it’s important to know that the Bitcoin gambling site you’re playing on is “fair”. You need to be able to know and verify that its algorithm isn’t designed to always make you lose. And that it really is as random and unpredictable, unplanned as it should be. Fortunejack has a link to its “Provably Fair” page, where you can verify the algorithm yourselves. A recently updated list of Provably fair games include PLinko with 1% Edge, Mines with 1% Edge, Dice too has 1% Edge however “Adernaline”‘s Edge has been set at 2%. So yes, Fortunejack is Provably fair. It’s one of the very few casinos out there, which lets you verify the fairness and authenticity for yourselves. Why this matters for this Fortunejack review is because, every Bitcoin casino out there offers some kind of promotional offer, or offers. So the Casino with better, or more profitable offers is definitely a better choice, isn’t it? (Considering all other factors such as Withdrawal limits, support, fairness etc are good enough too). Fortunejack is always brimming with a lot of free giveaway money, there always is some kind of “Signup and/or 1st deposit” bonus going on along with Weekly bonuses and Loyalty bonuses. 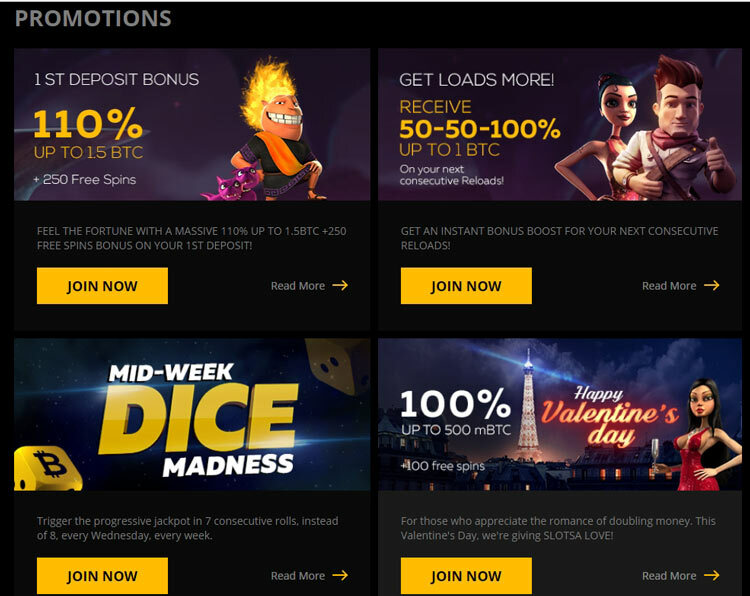 Currently ,they’re giving away 5BTC+250 free spins as a Signup bonus (terms and conditions apply) and then a 110%+ 250 more free spins on your 1st deposit! 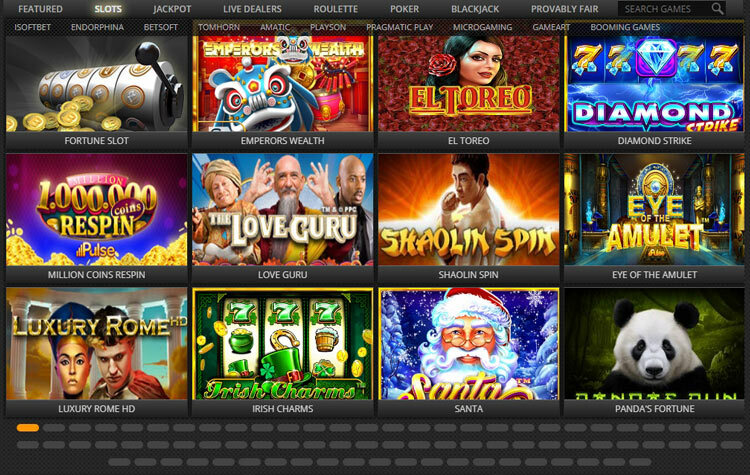 This is the “highest” as of now compared to any other online casino. 5BTC+ 250 Free spins + 110% is great already, it’s literally “more than double” the money you put in, but even this bonus is spiked at times which is commendable. Along with that, the other promotional offer going on right now includes a 50 +50 + 100% bonuses on “next consecutive loads”. So that’s another 200% of your deposit, again for free! Then there’s another offer which grants 100% Bonus to all users (old and new) along with 100 free spins! The granting scheme is that of 25 free spins for 4 days in a row, hence adding up to a 100. Did I mention they even have a “free lucky game” (Lucky Jack), anyone who has deposited a minimum of 10mBTC on the platform can play it (without actually losing anything), simply go to the page, and play the game, they give away 100mBTC everyday to 10 registered players (10mBTC each), absolutely free! Although obviously there are some restrictions and limitations as well on these bonuses and giveaways (like every other casino), and it’s only fair I mention them too in this Fortunejack review. 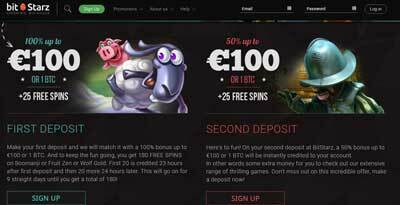 So well, the 250 free spins for new users are credited only to users whose first deposit is worth 0.05BTC, or more. And the bonuses need to be “claimed” or activated of sorts, then there are other terms and conditions regarding the time-frame by when the spins should be used etc. Note that these offers aren’t permanent (especially the weekly bonuses and loyalty programs), either the bonus %, or the number of spins, or the whole offers may be changed by the team at any time. But what makes Fortunejack one of the best platforms is, there always is a newer, and equivalent if not better offer to replace the old ones for new as well as existing users. As I’ve explained, there aren’t a lot of other platforms out there capable of offering the kind of bonuses or other promotions as Fortunejack hence my praise songs for it. 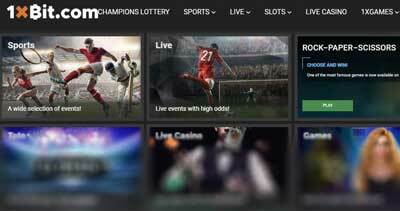 The number of games available, their types and quality totally is one of the decisive factors when it comes to reviewing a Bitcoin betting site, don’t you agree? Cause at the core, that’s what the players go to do there, play a game, isn’t that right? Slots is the most populated type, with atleast 684 games in this category itself (yes I counted! ), although I couldn’t find any official documentation regarding the total number of games, my rough calculations estimate them to be atleast 900 in total. With the other categories holding 20-60 games individually. Some of the most popular games include BlackJack, Dice, Paris Nights, Live roulette, Fortune Wheel, Emperor’s Wealth, Keno etc. And considering the other casinos I’ve reviewed and been with, I’d say 900 is a pretty impressive number. So yes, as far as availability of games go, Fortunejack totally deserves 5 stars! 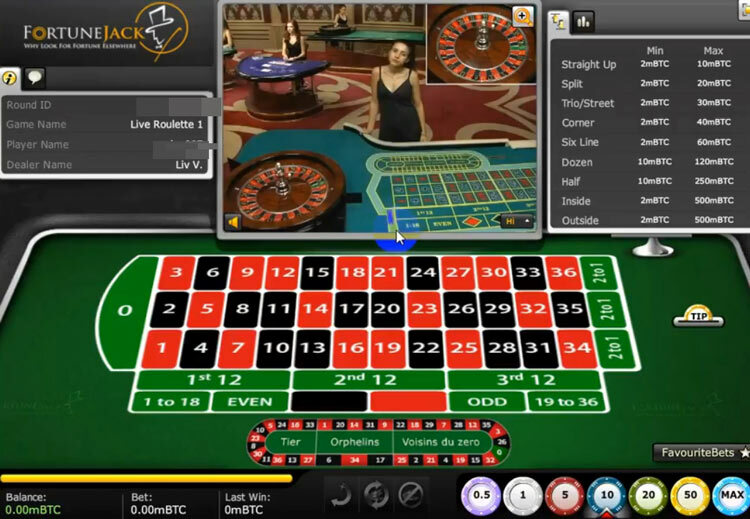 Fortunejack is also one of the few online Bitcoin casinos which lets you play with “live dealers”. It’s an unique concept, which brings the casinos to your living rooms. The game is a “real, physical” one, with an actual person hosting the game on a real, physical table. The betting is done with your mouse obviously, and there are advanced functionalities which let you chat with other users as well. So, it keeps your identity safe, you don’t have to get out of your room, and at the same time can be in a casino, ah the wonders of technology! So, this feature is another one of those feathers in the cap of this Fortunejack review. The registration process is seamless, all you need to enter is an E-mail ID (which can be anonymous), and a username(which may be something vague and not your real name, although using real names is better if you can so you can verify ownership if ever asked to do so). It takes no more than 2 minutes even for the slowest folks out there to get registered on the platform. And the best part is, even though Fortunejack complies to AML policies (Anti Money Laundering), they don’t ask for any govt. ID proof or anything like that for registration. (Although users are subject to due diligence by the team if and when the need arises). Also note that all the countries are allowed as far as registration goes, but they’ve clearly stated in their T&C that it’s up to the user to verify and make sure that online gambling is legal in the country they are from. In a nutshell, it doesn’t have any geographical restrictions for you to be able to join Fortunejack. 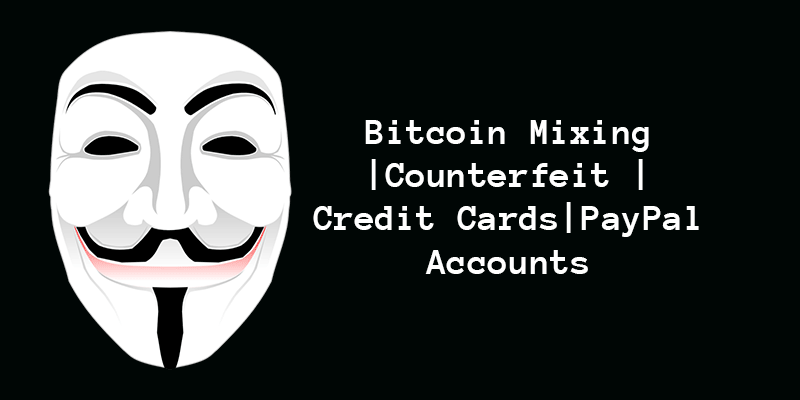 “Trust factors” do matter a lot when it comes to an online casino Bitcoin, well Fortunejack is brimming with those factors. First of all, it’s a Provably fair site and you already know what that is. In addition to that, it’s a site that has the McAfee Secure seal at its footer. Also, it’s a “Silver Member” of the Bitcoin Foundation, and is also a “Godaddy Verified and Secure” site. All those seals and trust factors go on to prove that it’s trustworthy, and has a good enough encryption system to keep your identity and funds safe. 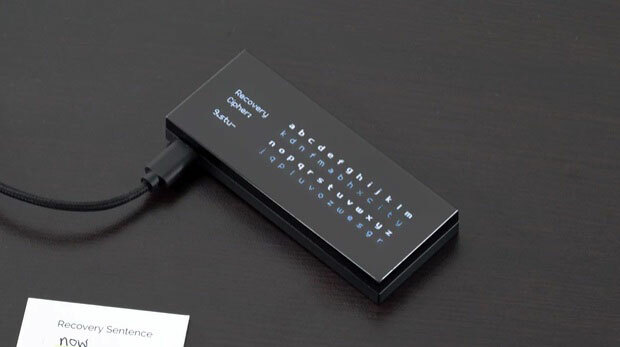 In addition to all that, it still uses an SSL connection to keep your connection safe from even the least chances of your traffic being intercepted or hijacked. They also have 2-Factor authentication enabled so yeah you can trust the platform to keep your account secure enough. It’s a Curacao eGaming Licensed company and that means they aren’t autonomous, and you have somewhere you can complain to if you find something ethically wrong with them (although in their long career, it hasn’t ever happened and probably won’t happen ever either). As far as company ownership goes, it’s owned by “Nexus” group of companies, and is registered with proper registration, license numbers and physical addresses which can be found at its footer. Update- 22nd Jan, 2019: They modified their UI quite a bit, now they’ve got a section with three sliders showing “Recent Winners”, “Big Winners”, “Jackpot Winners” and show the exact amount they’ve won, along with the currencies. This transparency screams trust if you ask me. Bottomline, yes it’s trustworthy and secure. Another most important aspects of this Fortunejack review is its Payment modes, restrictions and the coins it supports. That’s more options than I’ve found almost anywhere. The deposit process is simple as well, every currency has its own deposit address, and it’s instant. 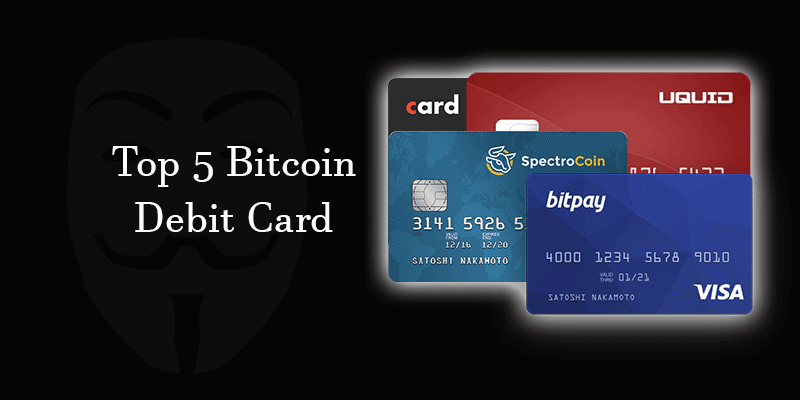 It has partnered up with BitGo, the superfast Bitcoin payment processor which facilitates really fast Bitcoin transactions with otherwise may have taken hours. And it’s absolutely free as well for transactions lower than 1BTC, if it’s 1BTC+, in that case too the fee is only 0.1% only. So obviously, both the deposits as well as withdrawals are instant, again something that’s rare when it comes to a Bitcoin lottery site today. 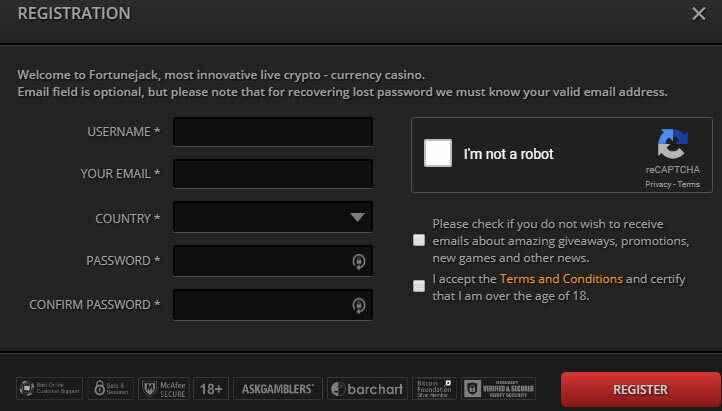 Also, just a single confirmation is needed to start using the funds to bet on the casino. 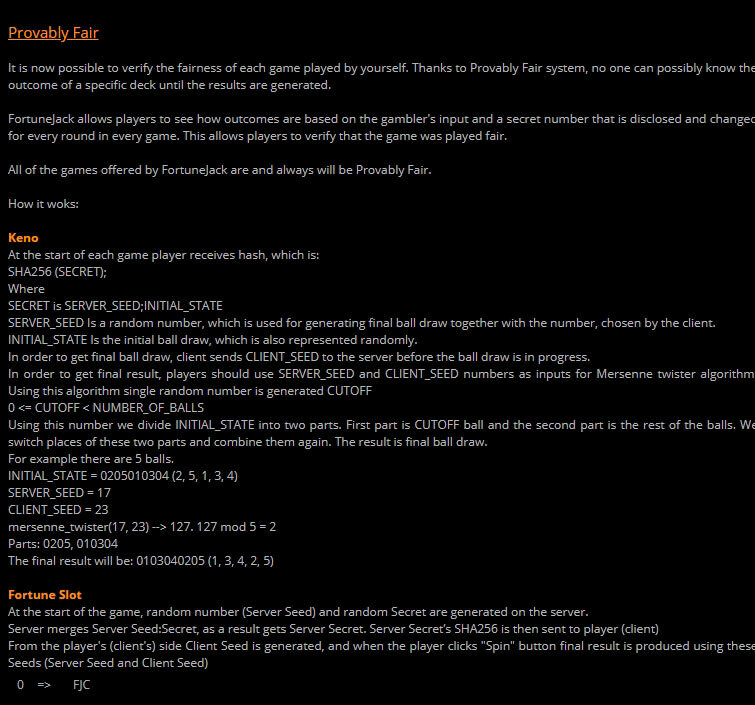 And, they also support P2P transfers, so you can transfer money to other players as well. Bottomline, there isn’t much that the “payments” or deposits section of this Fortunejack review is missing, is there? Right now don’t have any bitcoins or other cryptocurrencies and want to buy right now check out below given some blog post that can help you to buy crypto coins. As for Minimum and Maximum limits for deposits and withdrawals respectively, they really haven’t specified the latter clearly. 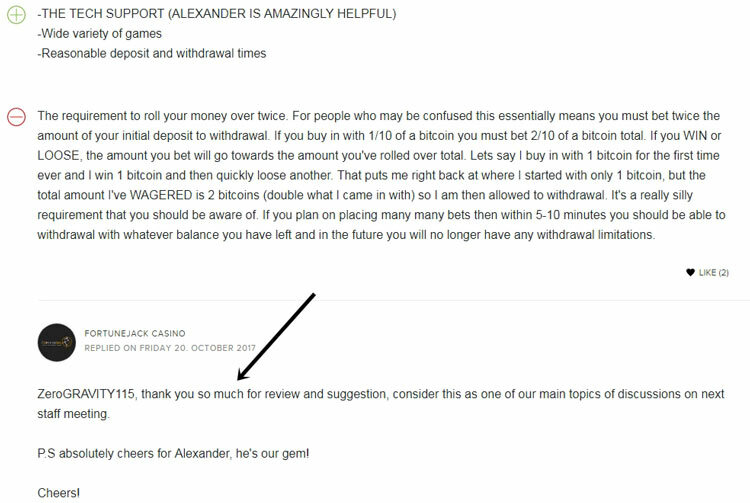 The minimum deposit required is 0.01mBTC, although they make it clear that they have the funds to pay whatever you’ll win in a day when it comes to maximum withdrawal, and at this point of this Fortunejack review, I really see no point to doubt them. And now we’re finally down to the last section of this Fortunejack review- Support. It’s important. Why? So that you know you’ve got somewhere to turn to in case your funds get stuck, there’s delayed payment, or any other issue on the platform. Also simply because it shows they care. Fortunejack can be contacted 24/7 via E-mail – support@fortunejack.com, along with offering a “contact form” which can be used to get in touch with them as well. They also have a “live chat” option on the site, where you can get in touch with the team instantly. And I’ve personally seen them reply to questions and queries actively on the AskGamblers forum as well. 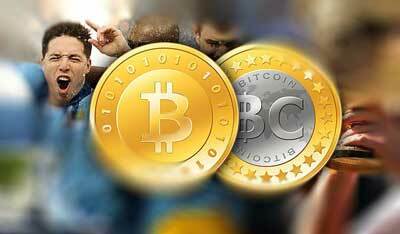 Fortunejack has arguably earned the title for the best Bitcoin gambling site out there, but why? What does it offer that its other contemporaries don’t? Good support, great currency support, established reputation, trust, unmatched promotional offers, and fairness. So basically, there isn’t a factor that “should be”, but “isn’t” available with Fortunejack. Yes, maybe they could add in “Call support”, but that’s about it. Anyway, that’s about it, I’ll wrap this Fortunejack review up. Do let me know what you think of the platform, or share your experience if you have any. I love hearing back from you folks. Where do you connect? Hey we’ve got a massive Facebook page, where we reply to every single message and comment. Let’s connect!